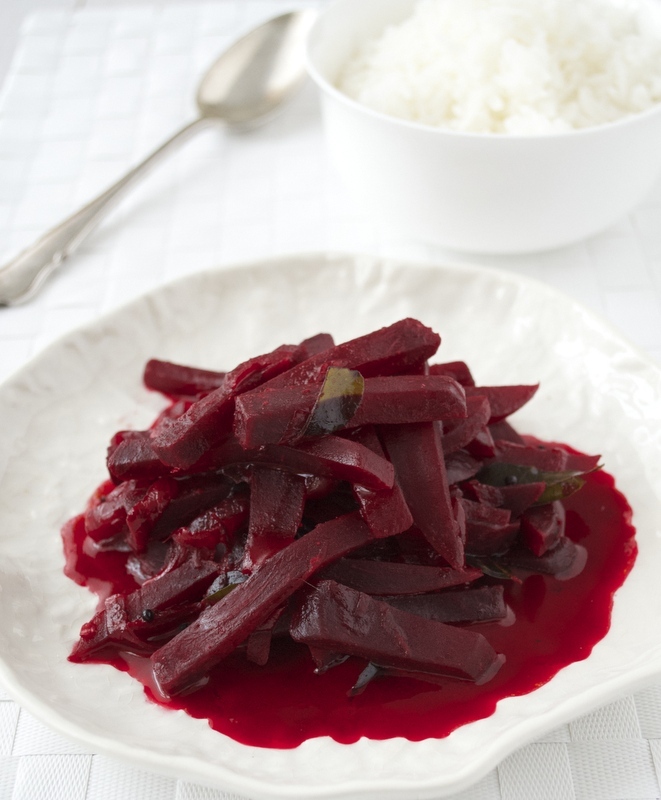 Beetroots are in season and this stunning beetroot curry is a family favourite! 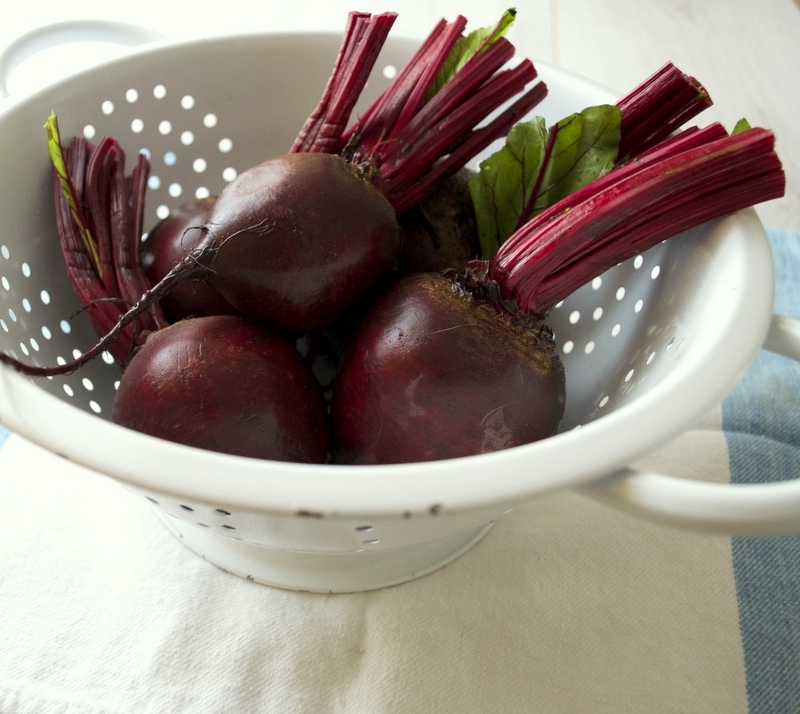 It is a simple home cooked dish and takes less then 30 minutes to make, but just make sure you wear a pair of gloves when you prepare the fresh beetroot bulbs unless you want to have pink fingers for the rest of the day. The natural sweetness of fresh beetroots pairs beautifully with the fragrant spices and rich coconut milk. Serve it with plain steamed rice or flat bread – believe me it is always a winner! Peel and cut beetroot into long strips. Heat oil in a wok or saucepan and fry mustard seeds until it pops, add curry leaves, sliced onion and garlic. Sauté until the onions are tender. Add the beetroot pieces and sauté for a few minutes and then add chilli powder, coriander powder and turmeric powder, sauté until fragrant. Add 1 cup of coconut milk and salt, cover and cook in low flame until the beetroot is cooked through. Add the rest of the coconut milk and gently heat through. Serve it with plain steamed rice.